Since October 19th, 2002, SCB Net has been my home for everything I've created over the years. This site contains a wide variety of items including my board game Deities, custom made PC Games, maps & mods to existing games, hundreds of photos, fictional stories, vivid dreams, and more. Everything is free to download and use. However, no further distribution or modification of anything created on this site is permitted. February 13th, 2019 : Updated the Weather and Scenic albums in my Photography section. January 27th, 2019 : I added a new Dream and a Hiking Log to my Hiking page. January 1st, 2019 : Added some Hiking pictures from my recent hike up the blackened Sandstone Peak. December 6th, 2018 : I have done a complete overhaul of the site which is now Version 7! I have new videos, uploaded more pictures to my photography section and updated my Deities game page as (at least for now) the game is "complete". June 14th, 2018 : A quick update to add new Hiking videos and pictures including my latest hike up Kearsarge Pass. May 17th, 2018 : I've updated my Creative Block to my latest video as well as a piece I wrote around a D&D campaign I was in. I also added a bunch of pictures to my Tehachapi Mountain hiking section. Lastly I updated my About page. March 4th, 2018 : I've added pictures (lots of them) to my Hiking section. Click on the title of each of the four areas I've hiked to see pictures for those areas. 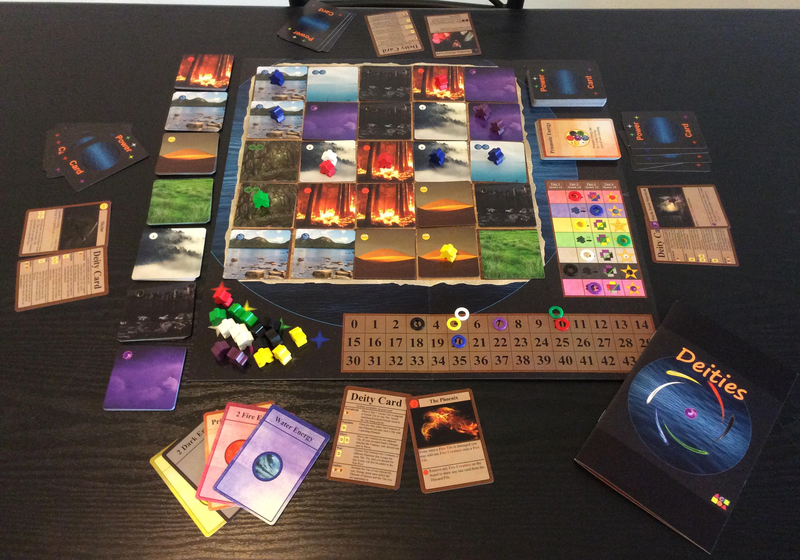 I have also updated my Deities page with details on my 7th prototype version. February 9th, 2018 : A small update to my Hiking section. Updated my main video to Tehachapi Mountain Winter Hike. I also added a small update to my Raw Dream Log located at the top of my dreams page. December 27th, 2017 : Added Fremont Peak to my Hiking section. Also updated my main video to my Fremont Peak hike. November 4th, 2017 : A quick update to add another dream. October 24th, 2017 : SCB Net has now been around for 15 years! I updated the front page video to my Cirque Peak hike. I added a new Hiking section that I will eventually expand to include	my hiking pictures and videos. I also added another Dream. August 6th, 2017 : Got around to updating my About page for this year. I also added details of	Version 6 of my board game Deities of Creation. April 30th, 2017 : Updated the video in my Creative Block to a recent one I took at Hart Park. Added another new Dream. Added details of Version 4 of my board game Deities of Creation. March 11th, 2017 : Big update! I've finally gotten around to updating my Photography section. Not only have I added hundreds of new pictures but I've updated my old albums to a newer style to keep in line with the style of the site. Updating the albums took weeks! Aside from adding pictures, I also added a new Dream. The background for this page has been changed again to the background shown in the title. February 19th, 2017 : Posted my latest YouTube video titled "Storm". I added an unfinished RPG Maker XP game I made several years back titled Miyana. Finally I continued to reorganize parts of the site and make subtle layout changes. This update combines both StarCraft	and StarCraft II pages. The background for this page has been changed to a bunch of stars I took from my Deities board game. September 28th, 2016 : Added a new Dream and updated my Raw Dream Log there. August 24th, 2016 : I decided to upload my Starcraft II maps I made when the game first game out. I never got into the editor like I did with the original Starcraft so I made few maps and not very good ones. Made some changes to my Dreams page. Also added information about a board game I made in High School to the Other Games section. May 7th, 2016 : Added 3 new dreams to my Dreams page and made a few minor changes to the About page. April 16th, 2016 : Since I have recently moved, I have decided to conclude my Weather page. I may start a new one in the future but this specific page is finally complete. January 13th, 2016 : I've added a new section to "Custom Gaming" for a program I found called Super Mario Bros. X. It allows users to create and play their own custom Mario levels on the computer. I thought it was neat and decided to make a few things with it and posted them on my new Super Mario Bros. X page. I also went and updated my Weather page and added a link to my YouTube channel which as of yet doesn't have much on it. November 10th, 2015 : Big update time! Moving on to version 6 of this website. This version is the most radical change to the website since 2006. I've been wanting to make the website look and feel a bit more modern. I've reworked a lot of the page coding and tossed out a lot of junk that's been in use for almost a decade. I also wanted to make each page look more lively and not just a wall of text with a few pictures here and there. As far as actual content goes, a few things have been added. The About Page is updated. Weather is updated through mid-October. I have added the previous version of this site to my archive as 2015. Finally I added a few more pieces to the Art page. The one thing I haven't updated to the new format is the old photo albums in the Photography section. August 8th, 2015 : Added a new dream I had recently titled "Bastion Dream". It's my longest dream write-up yet. July 29th, 2015 : I hooked up an old hard drive and found some of my old Spore creations from 2008. I've gone ahead and updated the page. I also found a few videos but I'll save uploading those for another day. June 6th, 2015 : Seeing as it is unlikely I'll ever work on these specific stories again, I've gone ahead and uploaded incomplete second chapters for both Kenritta and Pale Sun. I also updated my About page. May 19th, 2015 : I've added links to my vacation pictures from 2013, 2014, and 2015 via iCloud. February 5th, 2015 : Updated my Weather page through January 2015. January 10th, 2015 : Big update time! I've completely reworked my Photography page. I've added hundreds of photos and organized them into albums. December 29th, 2014 : On a whim the other night I finally tried to figure out why the only remaining Q-Basic game not to be uploaded wouldn't work properly in QB64. It turned out to be as simple as just switching the order of two seperate lines of code. After that everything worked perfectly. So the lone holdout is now finally uploaded to my Q-Basic page! It is the RPG mentioned in the January 28th, 2014 update. December 19th, 2014 : Added three more dreams. August 4th, 2014 : Just a minor update to add a Dream and update a few things. March 16th, 2014 : I did some searching and found a few of my Spore creations online. I still need to dig through my old computer to see if I have a copy of all of my creations. Spore has been added to the Maps, Mods, and More section. February 16th, 2014 : January's Massive Update series has come to an end. This update adds a few dreams and reworks the dream page a bit. Updates are back on their usual sporadic schedule. Future update plans include my Spore creations (when I find them), old Age of Empires maps, Starcraft II maps, recoding my Q-Basic RPG that isn't yet working in QB64, adding a photo gallery, possibly making a new background image, and finishing my Guild Wars Journey saga. January 28th, 2014 : The Massive Update continues! It took awhile, but I've gathered up a fair portion of my old Q-Basic programs, figured out their creation dates, created screenshots of many of them, and recompiled them using QB64 (a 64 bit version of Q-Basic). The Q-Basic page now has 24 additional programs. I also removed Forgotten Dungeons from the My Games section of the site and put it back under Q-Basic where it belongs. All of my better Q-Basic games will be found at the top of the Q-Basic page. After that it goes south pretty quickly. There is one more Q-Basic game that I want to upload but it will require a lot of recoding because it isn't working in QB64 for some reason. It is one of the only complete, and graphical, RPGs that I made. I'll get it done some day! January 21st, 2014 : While trying to piece together my gaming history for my new About Page (now available under the My World section), I decided to see if my very first website Steven's Game Store still existed. Sure enough...it does. That site has given me further insight into additional things I can add to this site. I've also created an archive page based on the last update I made for it back in 2000. It's funny how similar the final version of that website looks compared to the earliest versions of this website. January 20th, 2014 : I've added a few more pictures to my Photography section, mainly more fire pictures. I also condensed the table I had in order to show 3 pictures per line instead of 2. Eventually I want to redo the whole section and include Albums of sorts, but that is a project for another day...month...maybe year. January 19th, 2014 : Massive Update Part VII. I added a new game category to the Maps and Mods section, Stunts! I've uploaded all of my old custom Stunts (a 3D-ish DOS racing game) tracks. January 17th, 2014 : Massive Update Part VI! I've added an Archive section to the site. I've uploaded several pages of what this website has looked like over the years. It's interesting to compare each version of the site and see how it has evolved. Many of the links on the old versions will probably no longer work. January 15th, 2014 : Massive Update Part V. The remainder of the mazes in my old maze book have been uploaded. January 14th, 2014 : Massive Update Part IV. My archive of Civilization 3 and Warcraft 3 maps have been uploaded. January 13th, 2014 : Massive Update Part III! Just a small update tonight. Added a few Warcraft 2 maps to the Other Games page. I've also been able to recover the original creation dates on a lot of previously posted work and I've been updating those as well as I go through updating each page. January 12th, 2014 : The massive update continues! Tonight I've gathered up my Starcraft map archive and uploaded them all to the site. That's 55 additional maps for the Starcraft page! January 11th, 2014 : Massive update time! I've redesigned the website again, although not as drastically as in the past. I've added a dropdown menu to the top of the main page and simplified all other pages on the site to make them easier to maintain. I plan on adding tons of content, most of which is just random odds and ends from various games that I plan to just archive here on this site instead of them just collecting dust on various harddrives. The first pile of files added were leftover Duke Nukem 3D maps I found. I also added a couple more Dreams and designated Dreams to its own page. I also added a Weather page to store the ongoing daily weather readings I take here at home every day. More to come soon. April 9th, 2009 : I uploaded three new dreams into the Writings section. I have a lot of projects nearing completion that I'll hopefully get around to finishing and posting. January 13th, 2009 : Happy new year! On a whim, I started a new fictional story called "Pale Sun". I know I never continued my last one, but I may continue one or both if I can find the energy to do so. August 4th, 2008 : It's been over three years since I've created a new game and well over a year since I've updated an old game. But here is a new game that has been roaming my head for years: Dotty vs. Beeper. It's a fairly simple point and click game where enemies on the screen move towards you and you have to click them before they kill you. It is initially similar to my game Bug Bomber but more complex and enemies attack you from all sides. July 22nd, 2008 : I've added a Dream I had recently about Go-Kart racing. June 25th, 2008 : I've updated my Camera page with some pictures of last years smoke from the fires. I also updated the About Me page to reflect my current age. April 18th, 2008 : Too tired to do much updating. I did half a chapter of Kenrrita then got sidetracked by work and a new game idea. It is loosely titled Inzan. Hopefully I'll actually finish this one as I like the idea a lot. In the meantime, I've made some NBA Playoff predictions...just because. March 9th, 2008 : I have completed the first chapter of an ongoing fictional	story I am loosely titling "Kenrrita". Names and titles are not my strong suit. I may or may not change the title. March 1st, 2008 : I have completed "Chapter 7: Current Events" for my	Guild Wars section. 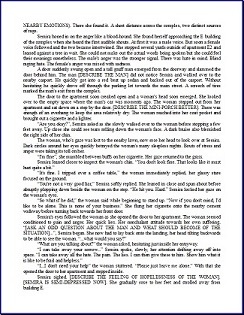 February 29th, 2008 : Updated the background image for this site to remove a large block of text from the image to make reading easier. February 28th, 2008 : I have completed "Chapter 6: New Horizons" for my Guild Wars section. February 26th, 2008 : I have added a piece I am working on called "Guild Wars: A Journey" to my Guild Wars section. It is a detailed story (with a lot of screenshots) of my two plus years of	playing Guild Wars and the adventures I have had on it. It is a work in progress and I will update the chapters as I finish them. February 23rd, 2008 : It's been a long while since my last update. I've had a lot of projects on my mind but I've been too tired to get around to making much progress on any of them. I have made some significant changes on this site the past few days though, the greatest of which being the creation of my very own forum. Stop by to say hi or discuss anything found on this site. With the creation of a forum I have done away with my guestbook. It was always either broken or full of spam so I decided it would be best to put it out of its misery. I also got rid of the separate menu frame and just used a table to place the menu on the left. I think it makes the page look neater. March 8th, 2007 : Added a new dream. January 19th, 2007 : I've finally updated my General Conquest game with a TON of bug fixes. I'm also	introducing a little comic I've decided to do called Blundering Bob! October 13th, 2006 : More Guild Wars information updates. Mainly bosses and elite skill additions. October 6th, 2006 : I finally got around to doing the Canthan creature lists for the game Guild Wars. While of course there are sites that list the creatures out there now, I like how my lists lay everything out for each zone. September 22nd, 2006 : I added a quick animated GIF I made showing an Ori ship ramming into Earth. Their shields are so strong Earth is destroyed! September 16th, 2006 : I finished supplying screenshots for all of my Warcraft III material. I also added a silly replay of a recent game I had. September 13th, 2006 : I have found and added a few more Starcraft maps. I also finished putting screenshots to each map. September 11th, 2006 : I have added in a Diablo II section and placed in it a mod I had been working on way back when I still played the game. September 10th, 2006 : I have added a new section called "Decision Games". It is at the bottom of the menu under Other Work. Two of my old hand written games are posted there. A story is told and you get to decide what happens. September 9th, 2006 : It has been a long time since I updated my site but I have decided to recommit myself to working on it. I have completely redone the site and now have a menu on the left that offers quick access to everything on this site. I have also added a ton of content including but not limited to: Dungeon Crusade BETA 6 with editor, "lost" SteveWeb versions, my old text game Forgotten Dungeons, interesting dreams in the writings section, more mazes, more pictures from my camera, and a gigantic amount of "detail" added to each section including tons of screenshots (many screenshots in the Maps, Mods, and More section are incomplete) for most of my work. I also have much more I am planning on adding and several new projects I plan on starting. Most importantly, I have gotten rid of those pesky advertisements! September 9th, 2005 : Updated the Guild Wars lists with Sorrow's Furnace information. August 28th, 2005 : More Guild Wars updates. "Finished" the Creatures per Area listings except Fissure of Woe and Underworld. I also set up a crude Entire Creatures List. August 21st, 2005 : I "finished" the creature compilation of the Crystal Desert and most of the Southern Shiverpeaks for Guild Wars. August 14th, 2005 : I "finished" the creature compilation of Kryta and the Maguuma jungle for Guild Wars. July 17th, 2005 : I am starting to compile a creatures list for the game Guild Wars. I have semi-finished Ascalon so far. June 2nd, 2005 : After almost two years, I finally made another version of my Alias Organizer. I started from scratch again and I think this version 3.0 is the best one yet. May 7th, 2005 : Another version of my Dungeon Crusade game. More bug fixes and a few changes. April 17th, 2005 : It took me awhile, but I have kind of finished a new game called General Conquest. I also modified my front page to display the programs I made in list form instead of in boxes. February 20th, 2005 : I made another Civilization III map. This one is of southern california. February 4th, 2005 : Made a Tic-Tac-Toe program that has a few features and rules changes to the original game. December 17th, 2004 : I have completed a fourth BETA version of Dungeon Crusade. A ton of bug fixes and other little changes went into this version. It is much better than the previous one. More work is still needed though. November 14th, 2004 : I created a new Warcraft 3 melee map and also uploaded a replay pack of some games I won. November 4th, 2004 : A third BETA version of my Dungeon Crusade game has been compiled. October 6th, 2004 : I drew a picture of something. It is located under the Other section. September 30th, 2004 : I have worked on my Dungeon Crusade game a bunch. I have a second BETA version compiled if anyone wants to check it out. September 24th, 2004 : I have created another page to hold my larger files. I have stuck my Dungeon Crusade file on that page. You can go there and download it. September 22nd, 2004 : It took over a month but I have finished my BETA version of the game I was working on: Dungeon Crusade! Scroll down and check out the screenshot and try the game out. I would like to receive feedback on it. August 24th, 2004 : Another close by brush fire! Check out my Camera page. August 16th, 2004 : I am working on creating a new game! I changed my Abandoned Projects section into a section for the new game. Check out Dungeon Crusade. July 21st, 2004 : Haven't had an update in awhile. I had a crazy month. Anyways, I'm working on some new stuff and I have taken pictures of a brushfire that broke out close by. Check them out on my Camera page. June 6th, 2004 : After digging through piles of junk, I found my old book of mazes that I made. I have posted one and may post more of them later. May 16th, 2004 : I have updated two Warcraft III maps: my Mario map to v1.3 and my Basketball map to v1.5. Check them out. May 11th, 2004 : I now have a digital camera. I have added a page that I will post pictures of whatever I take there. I have also done a bit of rearranging on this front page. April 30th, 2004 : Updated my Basketball map to version 1.4! April 10th, 2004 : I tossed up a page with pictures of my recent visit to the Grand Canyon. Take a look. March 29th, 2004 : I have uploaded another map called Capture the Airship. It didn't really live up to what I had envisioned. But I suppose some might find something fun about it. March 20th, 2004 : Uploaded a replay of a WarCraft 3 win I had. My 'Stupid' account Craziness basically just sat the entire game and ended up winning. March 3rd, 2004 : Updated my Mario map to version 1.1. I still don't know what to fill in the [Space Under Consideration] spot. March 1st, 2004 : Updated my Mario map. Also got rid of the Diablo planner that I will never finish. I don't know what to fill its spot with. February 28th, 2004 : I created yet another Warcraft map. This time I made a Mario game! Check it out. I actually had some good reviews on this one. February 23rd, 2004 : Another new version of my Warcraft Basketball uploaded. You can now foul. February 20th, 2004 : The latest version of my Warcraft Basketball map has been uploaded. Check it out, it has many new options. February 17th, 2004 : I have added a guestbook. Feel free to leave comments on anything. February 15th, 2004 : A newer version of my Warcraft Basketball has been added. You can now select how many quarters you wish to play and the AI has undergone some improvements. February 14th, 2004 : Deleted two of my poor Warcraft III melee wanna-be maps. I have added a Castle melee map in its place. Also added a funny Warcraft Basketball map. February 8th, 2004 : I have finished and added a new Warcraft 3 map: Fallen Arena. You basically try to fight off waves of monsters for as long as you can while buying reinforcements and technology to aid you. It comes with a readme file. February 7th, 2004 : Updated my Warcraft 3 Hero Wars map. I made a few additions and changes that were needed. It is still in the testing phase. Input is appreciated. February 3rd, 2004 : Added the BETA of my new map. Test is if you want. The final version will be posted here when all the testing is done. January 21st, 2004 : I have added a replay with comments of a good win I had. I also updated by stats page. January 19th, 2004 : I have recently begun playing Warcraft 3: The Frozen Throne online ladder games. I'm new but I am doing alright. I'm at 13-13 now. Check out my new Warcraft 3 section for stuff related to the game including my statistics. January 12th, 2004 : Ok, I have added a few more Civilization III maps. They are all for Conquests. They can be pretty good for multiplayer games. January 8th, 2004 : An update of sorts. I've been out of town for a few weeks. I'll have files and stuff ready whenever. My DarkShip Starcraft map was finally beaten today after months of trying! Congrats to me and 3 others, I can't remember names. Check back soon. November 6th, 2003 : Updated info on my Diablo Planner program and added a screenshot. October 26th, 2003 : A few things worked on here and there. October 10th, 2003 : A couple files added. I added a feature that allows the user only to see what files they want by clicking on the titles at the bottom of the page. Other minor fixes/changes. September 27th, 2003 : A few more files added. My latest project has been added. I am compiling a large list of websites in a dictionary-like format. Feedback on websites to add would be nice. September 1st, 2003 : Added several links and information about my work and the programs that run some of them. August 28th, 2003 : Modified a few layout features and other small changes. Also added a counter to keep track of visitors. August 27th, 2003 : Version 2.3 of my Alias program and a game I made called Bug Bomber have now been added to the site. I have also addressed problems with loading some of the images on this site. August 26th, 2003 : Added info on the next version of my alias program which I will post as soon as I can. I added a screenshot of the program also. August 3rd, 2003 : Added an unimportant picture and changed some descriptions of my Duke Nukem 3D maps. July 28th, 2003 : I created a new format for my web page! I think it looks cool and a little sharper. June 3rd, 2003 : Version 2.2 of my Alias program and my new SteveWeb program added. May 31st, 2003 : Minor site changes and additions. April 7th, 2003 : More files added including more Starcraft files. March 24th, 2003 : A few Q-Basic programs added. March 21st, 2003 : Minor changes and additions. February 15th, 2003 : More files added. Mostly Civilization III maps. November 2nd, 2002 : More files added. Mostly more Starcraft maps. October 20th, 2002 : More files added. Mostly Duke Nukem 3D maps. October 19th, 2002 : My website opens! Starts off with a few Starcraft maps.